Kashmir is the more praised north Indian leisure and honeymoon destination for people of all age groups. Kashmir valley is popular through out the world for its charm and beauty. Adorned with steep mountain passes and deep valleys Kashmir lies to the extreme north end of India. Kashmir tourism is beautified with year round salubrious climate, panoramic views of snow clad mountains and abundant lakes. The beautiful landscape of Kashmir is governed with forested ravines and grassy slopes covered with Chinar, Deodar trees. For a wonderful vacation of Kashmir you have many ways to enjoy like a silent Shikara ride in one of the beautiful lakes. From Srinagar the capital you can visit the beautiful destinations of Gulmarg, Sonmarg and Pahelgam where you can enjoy a great holiday with pleasure as well as adventure activities. The exclusive honeymoon packages in Kashmir are totally admired by the couples. 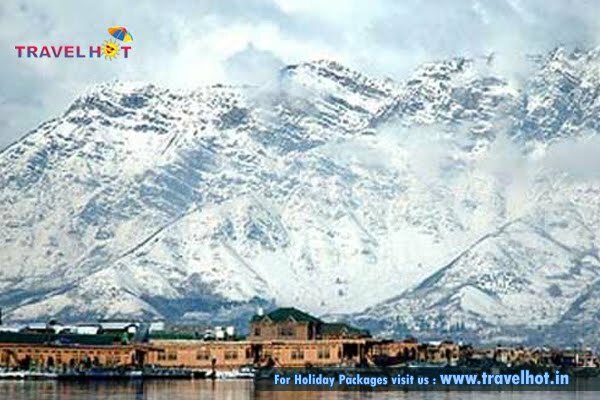 Kashmir tour packages offer you once in lifetime opportunity of exploring this marvelous destination. The holiday packages include Airfare from Delhi. Stay on exotic houseboats at Srinagar, Gulmarg and Pahelgam. Staying in the houseboats at these beautiful locations will offer you a royal feeling of the Nawabs. These houseboats are the ultimate means of luxury and pleasure which you will not forget throughout your lifetime. Tour of the splendid gardens of Kashmir will totally refresh your mood. Some of the alluring sightseeing attractions of Kashmir include Dal Lake, Chasme shahi, Nishat Bag, Shalimar garden and Shankaracharya temple. Kashmir holiday packages also include most delightful one hour Shikara ride at Dal Lake.